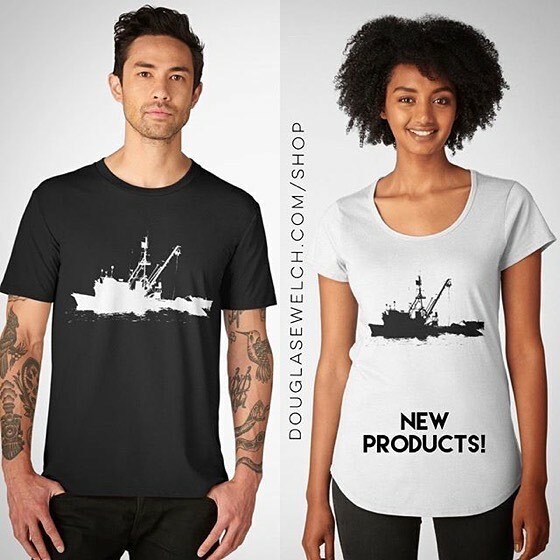 My Word with Douglas E. Welch » Fishing Boat Silhouette on Tees, Tops, Bags, and Much More! Sharing all the neat things in my life! Home > Art-Architecture, Home, Products, Technology	> Fishing Boat Silhouette on Tees, Tops, Bags, and Much More! Fishing Boat Silhouette on Tees, Tops, Bags, and Much More! 25% OFF Top and Tees Today! – Get these Pink Hibiscus Tops, Tees, Cases, Totes and More! For The Chef In Your Life – Kitchen Window Silhouette Tees and Much More! 25% OFF Tees Today! Get These Red Chevy Tees On-Sale Today. Also available on Totes, Bags, Scarves, and Much More! Plumeria Blossoms Shine in the Sun on Totes, Tees, Mugs, Bags and Much More! Would you like to Subscribe to the Douglas E. Welch/WelchWrite Mailing List?